As a former East Coast resident, I’ve experienced my fair share of hurricanes. I always thought these storms originated in the Atlantic Ocean exclusively. But apparently not. Meteorologists are forecasting Hurricane Lane may make a direct hit on one or more Hawaiian Islands by Friday and into the weekend. People should be prepared for power outages, coastal flooding, beach erosion, downed trees and major travel disruptions. Hurricanes rarely make landfall in Hawaii, which is why forecasters are concerned about Hurricane Lane. 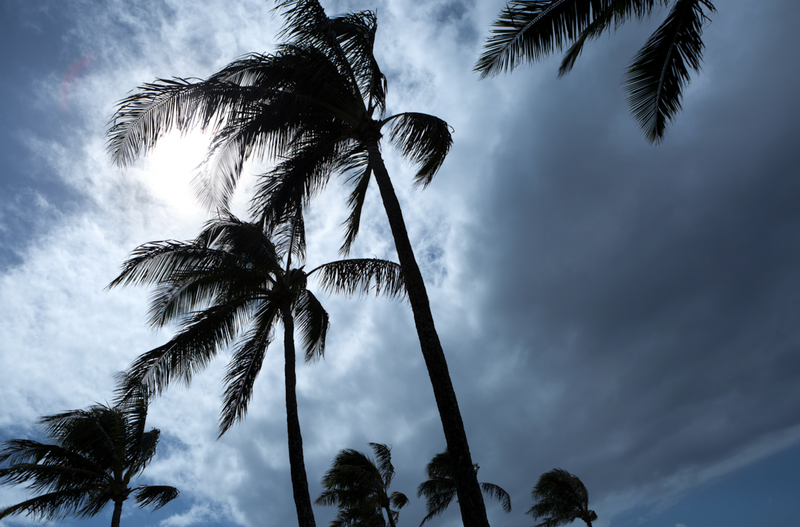 Only 4 named storms have made landfall in Hawaii in the past 60 years. Some may remember Hurricane Iniki in 1992, which caused more damage than any other hurricane in Hawaii’s history. The ultimate impact of Hurricane Lane will depend on its exact path and strength. Currently, Lane is a Category 5 with maximum sustained winds of 160 mph and gusts to 185 mph. But forecasters project it might weaken to a Category 1 storm if it makes landfall. Even with a drop, the heavy rains and winds might still cause a lot of damage. The Hurricane Research Division of the Atlantic Oceanographic and Meteorological Laboratory flew into the hurricane to get some data on the storm. What Does Hurricane Lane Mean for Travelers? Alaska Airlines, American Airlines, Delta, Hawaiian Airlines, and United Airlines have all issued travel advisories allowing travelers to change flights plans without paying change fees. I recommend checking each airline’s website to confirm if you’re eligible to make a change.